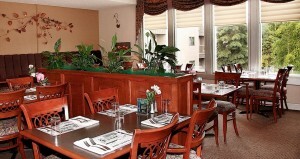 The dining room at Zach’s Restaurant, some of the best food in town is right in the hotel. When you are planning your trip to Fairbanks, you will probably want somewhere comfortable and convenient to relax after your long flight. You might want a hotel that has all the amenities you need so you can take it easy and not have to go into town while you are recovering from a full day of travel. 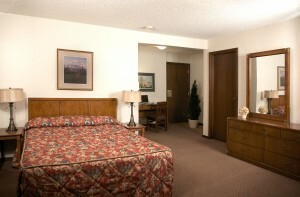 Fortunately, Sophie Station Suites is one of the best hotels in Fairbanks, is located only 5 minutes from the airport and features all the comforts of home. They offer 24-hour front desk service and airport shuttle service, making it easy to get where you need to go even at odd hours. They also have laundry facilities and services, a 24-hour fitness center, computer kiosks and copy/fax services available at the front desk. Sometimes flights in and out of Fairbanks are late at night, so they offer a baggage hold so you can explore town without lugging your stuff around with you. Combine all these services with spacious and cozy suites, and one of the top restaurants in town and you have the perfect location to take it easy for a day or two before your adventures in Alaska begin. Sophie Station’s Got Some Sweet Suites! The suites here are perfectly designed for relaxation, and the amenities will make you feel right at home. Each suite features two beds in a separate room with its own vanity and bathroom, a private balcony, a fully stocked kitchen, and a living room with large flat screen HDTV and cable. When you are recovering from long flights the last thing you want is noise keeping you from getting a good night’s rest, right? Well, in addition to being designed for comfort, the bedrooms are all located along the outside wall of the hotel to ensure a quiet stay. What happens when you start to get hungry, but don’t want to leave the comforts of the hotel? Luckily, you’ve got Zach’s Restaurant serving fantastic food for breakfast, lunch and dinner. 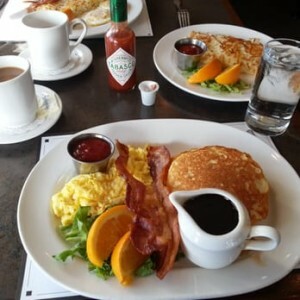 Sometimes the cold weather in Alaska calls for hearty food, so start your day off right with perfectly cooked Steak and Eggs or Corned Beef Hash. For dinner, you can enjoy fresh Alaskan seafood, steaks, pastas or specialties of the house like their stuffed portobello mushroom. Pair these up with a local craft beer or a choice from their extensive wine list and you’ve got a luxurious meal without even having to exit the building. On our Northern Lights Adventure we take your comfort seriously. That’s why the first night of our tour we stay at Sophie Station. It has everything you need to relax and unwind, and then the next day we head outside the city where we can get even better Aurora viewing at a rustic lodge surrounded by forest. On this adventure you will get to try dogsledding, hiking with reindeer, soaking in hot springs and more. Learn the sport of curling, and visit a family organic farm to learn what homesteading in Alaska is like, exclusive activities we designed ourselves. It is truly the best combination you can get of exciting and unique day activities with premier Northern Lights viewing at night. We even have a night guide who provides personal wake up calls when the lights are active. 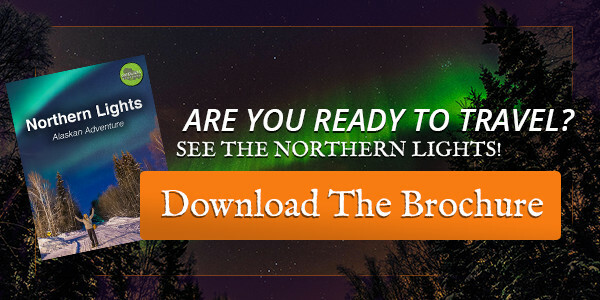 Exciting activities, freshly prepared hearty Alaskan meals, amazing aurora viewing at night….What more could you ask for in a Northern Lights Adventure?